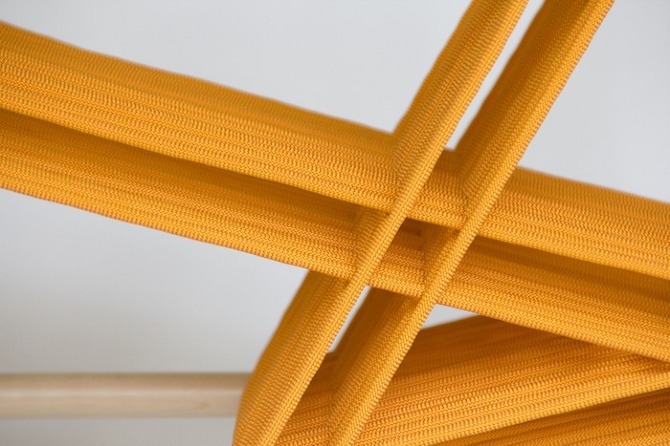 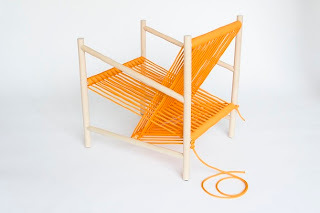 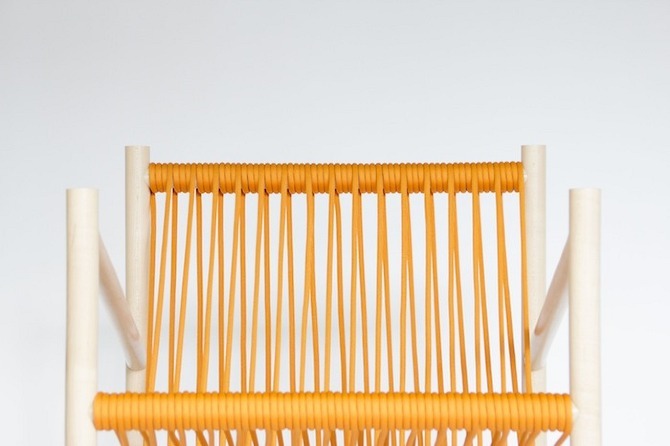 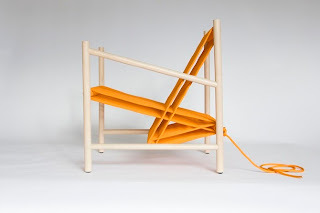 The Loom Chair is part of an exploration in incorporating magnified textile techniques into functional everyday objects. While many furniture pieces include a textile component, it is less common that the joinery techniques between hard and soft materials are celebrated. In this chair, thick rope is used to emulate the warp threads on a loom at an enlarged scale. This magnification allows the textile technique to become a feature, which changes shape depending on the viewing angle. 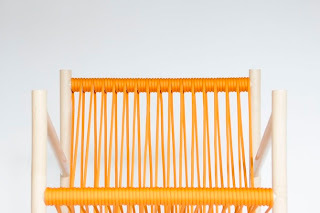 Both visual interest and structure are achieved with this rope pattern, allowing for a minimization of the components required.